Bentley Motors is ready to unveil two unique Continental models which have been engineered and designed exclusively for the Chinese market. These special edition cars will be made at Bentley’s Crewe headquarters with both models offering a range of striking features specially commissioned for Chinese customers. From Bentley’s first dealership in Shenzhen, the network has grown to become nine-strong in 2010 (with dealers in Shanghai, Beijing, Hangzhou, Guangzhou, Wuhan, Chengdu, Nanjing and Qingdao) and will grow with four new showrooms to open during the course of this year, the first of which will be in Kunming. Now two new models are to be launched specifically for this unique market. The Continental GT "Design Series China", which will debut at the 2010 Beijing Motor Show late this week, highlights the innovative nature of Bentley’s stylists working in partnership with the company’s colour and trim experts to provide some vibrant, design-led interiors. The centrepiece of each Design Series China car is the three-tone interior that blends a main leather hide colour with accent and insert colours to provide a visually impactful cabin for drivers and passengers to enjoy. This skilful and imaginative use of contrasting colours, as well as the application of accent colours to the smallest detail like the car’s seat belts, floor mats, seat piping or the hand-stitching applied to the steering wheel, further underlines this Bentley’s unique appearance. 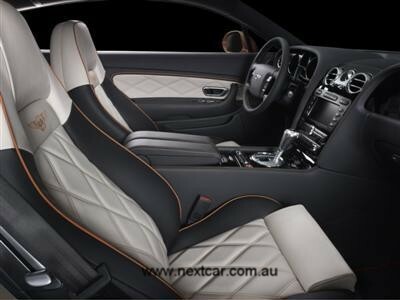 The Design Series China cars will be the first Bentley’s to feature Orange and Magenta as accent colours and the vast Bentley paint palette is further extended with the introduction of Orange Flame and Magenta Metallic. As well as creating a ‘talking point’ with the imaginative use of three contrasting hide colours, Bentley’s styling team has selected some striking wood veneers including Piano Black and dark-stained Burr Walnut. The rare Amboyna veneer, usually only available as a cost option, has also been reserved for the Design Series China editions. 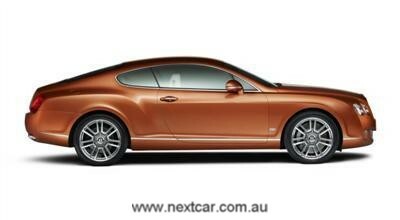 These cars will be further distinguished by some subtle exterior and interior ‘Design Series China’ motifs. These include an exterior wing badge, treadplate and name badge positioned on the centre console – all bearing the Design Series China signature. Bentley is also launching the Continental Flying Spur Speed China which retains all the potent performance of the company’s Continental Flying Spur Speed, the world’s fastest luxury four-door saloon, but with a range of engineering upgrades developed for the Chinese market. A bespoke ‘comfort’ suspension setting has been developed for the Speed China which emphasises the car’s superior ride quality for both driver and passengers, whilst ensuring the class-leading performance of the W12 6-litre engine is in no way diminished. The car is capable of achieving a potential top speed of 200mph/322km/h and a 0-60mph sprint time of just 4.5 seconds (0-100km/h in 4.8 seconds). The Flying Spur Speed’s distinctive, sporty 20-inch multi-spoke Speed wheels are retained to emphasise the car’s athletic character but for the Speed China, this performance is balanced with greater refinement through the re-tuning of the exhaust to produce a quieter note. The Speed China’s refinement and handling upgrades are also accompanied by a range of design features that accentuate its special edition status. 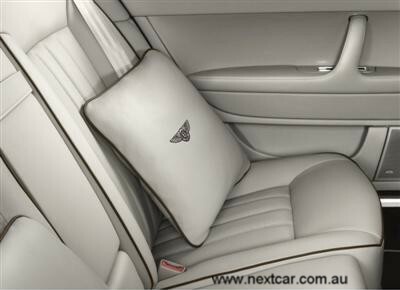 ‘Speed China’ treadplates and wing badges (with a matching badge visible on the centre console) have been created for this car and Bentley’s famous ‘B’ emblem has been affixed to both ‘C’ pillars.